WARNING: Some of the stuff I say in this post may qualify as spoilers about the August 8 season finale of Dallas on TNT. These are just my theories, but look away now if you don’t want to spoil any surprises of the episode. The first season finale of the new Dallas will give us the first cliffhanger developed by executive producer Cynthia Cidre and her team. We may not be getting gunshots, car explosions or (hopefully) yearlong dreams, but the new Dallas takes place in a very different world from the over-the-top ’80s so the final moments of Wednesday’s episode will probably have more emotional resonance than outsize shock. TV Guide interviewed Patrick Duffy about the finale and Bobby’s health crisis is certainly the centerpiece of the hour’s drama but I think it’s highly unlikely they would do without Bobby so early in the new show’s run. He’s central to the storyline and holds the show together. Besides, we all know how hard it is to kill him off. Just ask Katherine Wentworth. That said, here are some thoughts I have about what might come into play as the show’s summer run comes to a close. Ken Kerchevel’s appearances as Cliff Barnes were pretty brief (although more substantial than Charlene Tilton and Steve Kanaly’s glorified cameos), but his story hinted at a bigger agenda that may sprout up and sock J.R. in the face. 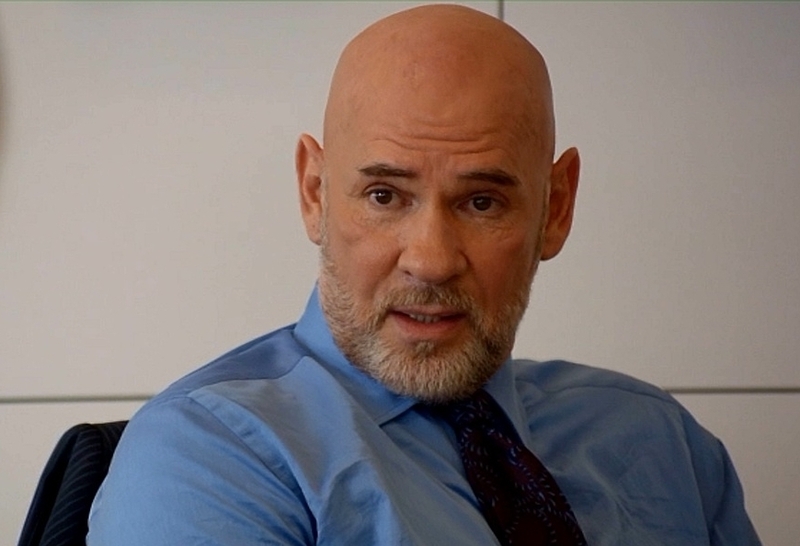 J.R. had to cut short his trip to Vegas to be at John Ross’ side after his beating, but he went there to sniff out what Cliff has been up to. Christopher rejected Cliff’s offer to invest in his methane technology but Cliff’s scary man servant turned up recently as the mysterious buyer working with Tommy to get the methane process by underhanded means. Is he working on Cliff’s behalf or his own? It’s obvious Ann’s ex has a very sharp ax to grind. Played with deliciously evil relish by Mitch Pileggi, Harris has wormed his way into the Ewings’ lives from several directions. He’s playing mind games with Ann, blackmailing Sue Ellen and earned a backhanded slap from Bobby so look for this simmering scenario to explode in ways that may have major ramifications for the second season. Dallas needs a strong enemy to take on the Ewings and I think Harris fills the bill nicely. 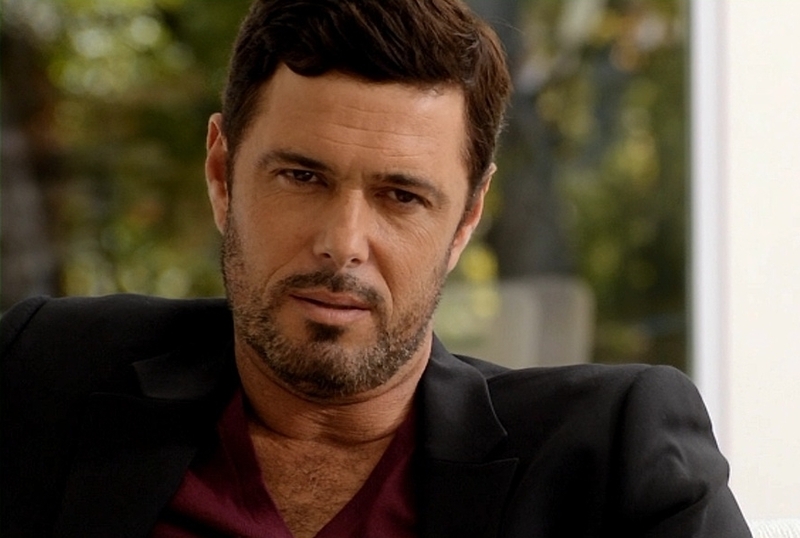 Carlos Bernard has been a hoot in the somewhat stereotypical role of the South American pseudo mobster Vicente Cano and I think the resolution to the whole John Ross/Marta mess came a bit too easily. John Ross and Bobby are trying to get Christopher’s methane technology rights back from Vincente but somehow I don’t think he will part with his prize too easily. And we know he likes to play rough. Dallas fans have wondered all summer long about the parents of Rebecca Sutter Ewing. Her name made us think she has a Barnes connection. She kind of looks like the young Pam Ewing and has blue eyes like Pam’s evil half-sister Katherine. Cliff didn’t recognize her when he met her, but if the events of the two Dallas TV movies of the 1990s never occurred according to the new show’s timeline, then he hasn’t seen Pamela Rebecca since she was a little girl so how would he know any better? Still, these coincidences may be red herrings to distract us from the real secret from the past that will be revealed. Funny how Ann is agonizing over a mysterious child. Might the answer to Becca’s parentage be hiding right under our noses? will Dallas come back in 2016? Hi Miranda — Thanks for your comment. We all would love to see the new Dallas back on TV on any network. Unfortunately, the producer, Cynthia Cidre, was unable to get another network to pick it up. The fans’ campaign to #SaveDallas wasn’t enough to help get it renewed. At least the TNT episodes are available on DVD!